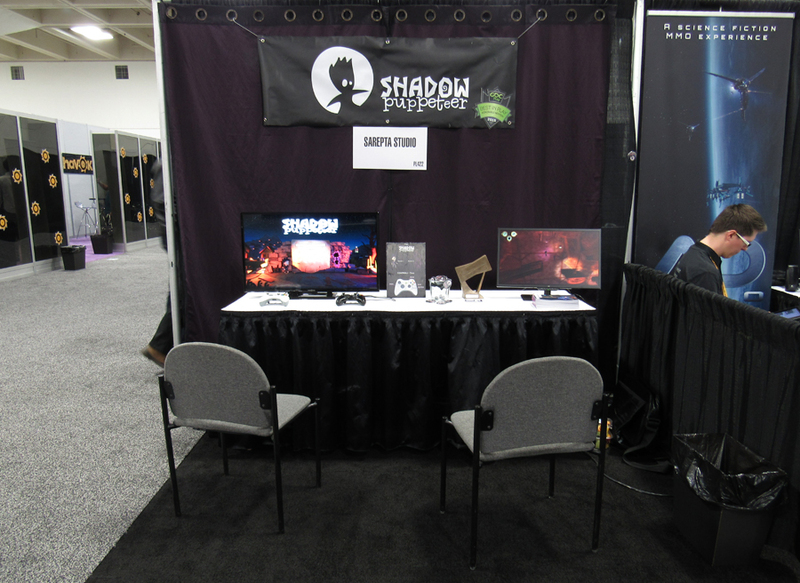 devs who get a booth where they can show off their game in the Expo hall at GDC. For the GDC Play stand you get a table, chairs, small screen, speakers, mouse and keyboard are available when you arrive, which you are free to use. You can decorate your booth any way that you like, as long as you stay within your designated area. We set up a pair of curtains, a banner and a playable demo on a larger screen. 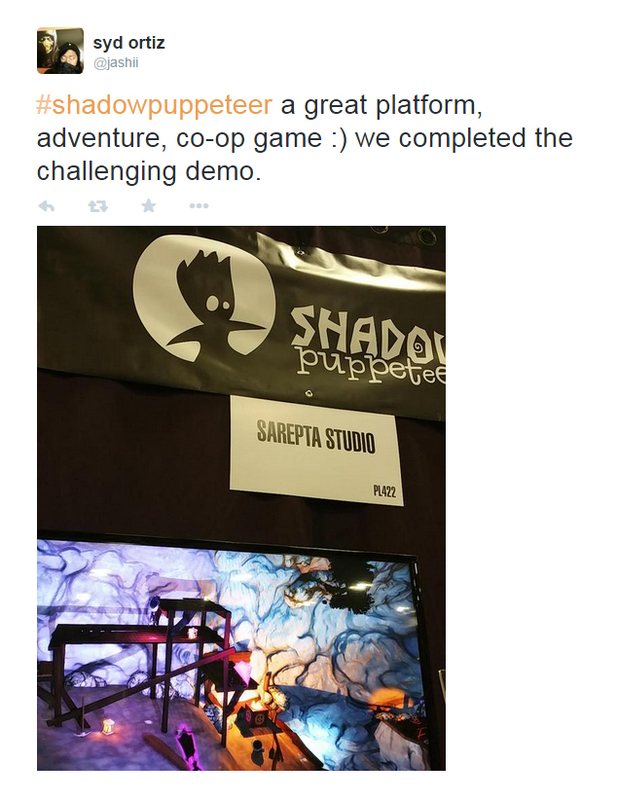 We like having small giveaways at the stand, and offered players Shadow Puppeteer buttons. We also set up a small card with controller instructions. Last, but not least, we set up the award we won the day before the Expo hall opened. 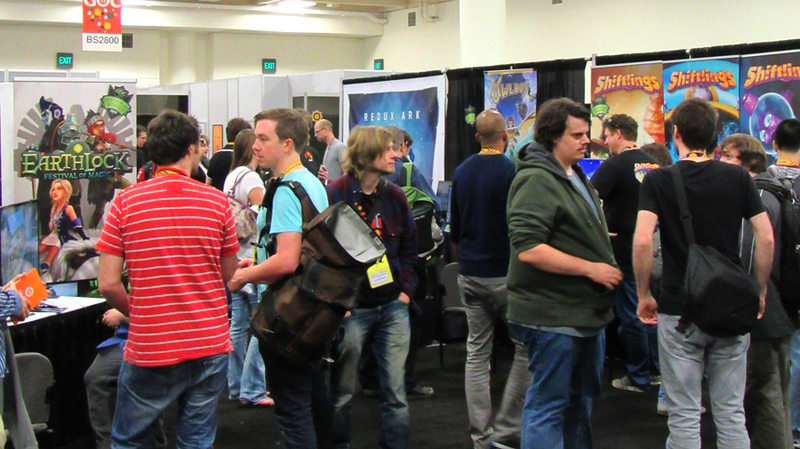 What makes exhibiting at GDC very different from other expos, like SpillExpo or Gigacon, is that the GDC visitors is made up of people who work, or wish to work, in games: Students of game design, game publishers, seasoned developers and everyone else in the industry. This leads to many inspiring and insightful conversations with visitors. We had so many great people stop by our booth. And not to mention the other exhibitors! We were in a section filled with norwegian developers. In a way it almost felt like home. 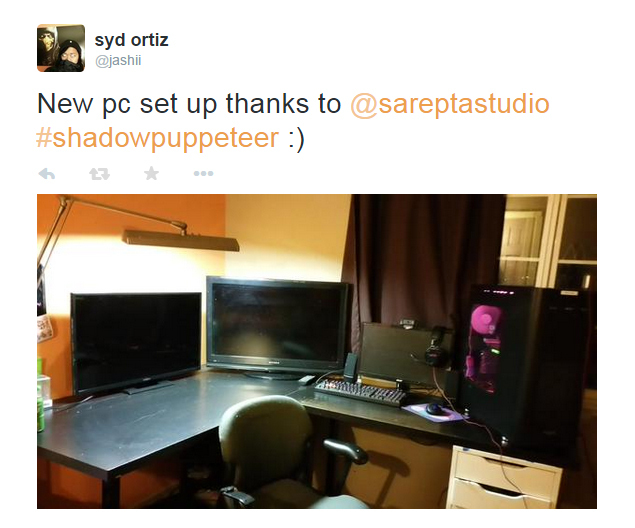 In order to show off Shadow Puppeteer in all its visual glory we bought a TV. This is an expense we budget for and think is worth investing it. But the cost of shipping a TV from America is more expensive than the TV itself. So we continued our tradition from last year of giving it away! And she was SOOO happy about winning a TV! She came by with a friend to help pack it up for transport. We asked if she’d share a picture of the TV once she’d set it up, which she did. We love meeting awesome people like this! Banner (above head height) – When a crowd forms anything below 6 ft will be hard to see. Have a banner with the name of your game, and place it high so people can see it from a distance and be drawn to it. Gaffer / Duct tape + screwdriver – These are essential tools your should always bring. S-hooks – Perfect for hanging things without ruining them. Remember to print banners designed to be hung. Can usually be borrowed at the service desk, but you should bring some of your own just to be safe. Controllers that work + tested demo – These things are crucial for making a good, lasting impression of your game. Don’t bring half-broken controllers, and don’t make a rushed build of a demo the night before. Bigger screen – The screen at the booth is not very large. When you’re competing with a million other things for attention you want the game to be as visible as possible. Bigger screens are easier to see than smaller ones. Comfy shoes – Comfort is king. You will be on your feet for most of the day, for several days. Get some good shoes to counter aching feet and backs. Business cards – You will meet fantastic people and want to stay in touch. Always have business cards available. And get their cards, too! If you have to leave the booth unattended consider leaving a stack of business cards on the table. Food and drink – After a few hours you’ll need something to drink and maybe something to eat. Rather than spending time finding something in the area, it’s always good to have something available. This gives the freedom to be as much as possible at the booth. But if you want to leave to get lunch, that’s totally cool too. Taking breaks are healthy! 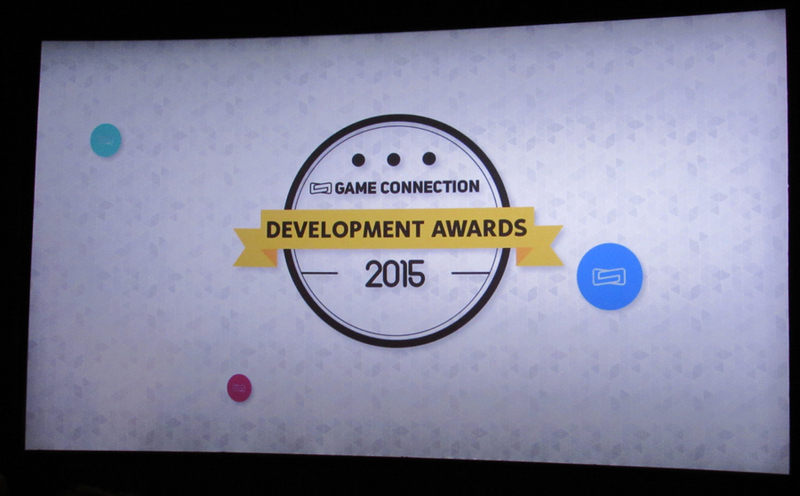 A couple of weeks before we left for San Francisco we received the great news that we would attend Game Connection as nominees for their Development Awards. Game Connection (GC) is a conference that runs at the same time as GDC. It’s a unique networking arena where games related businesses can meet potential partners and explore possibilities for cooperation and partnerships. 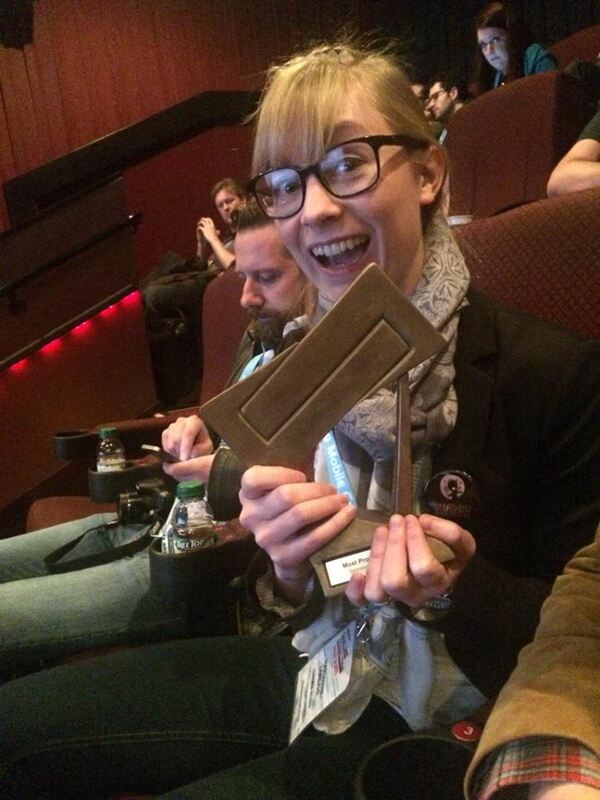 Their Development Awards are meant to highlight exciting new, unsigned projects. A place for devs to show off their creativity and originality and be recognized by their peers. Marianne and Klas went to the awards ceremony last Tuesday at the Metreon. 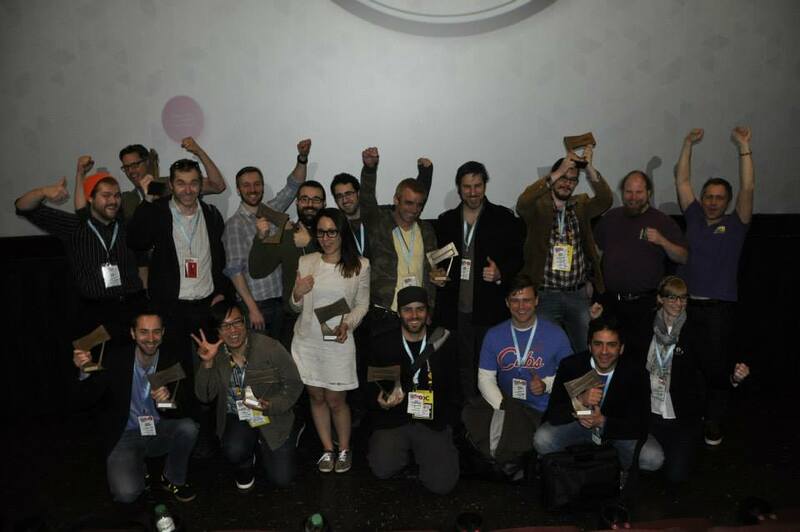 The cinema theatre was full of eager devs and their supporters in addition to publishers, console representatives and marketing/PR people. The mood was pleasant, though with an air of anticipation as the “moment of truth” drew nearer. 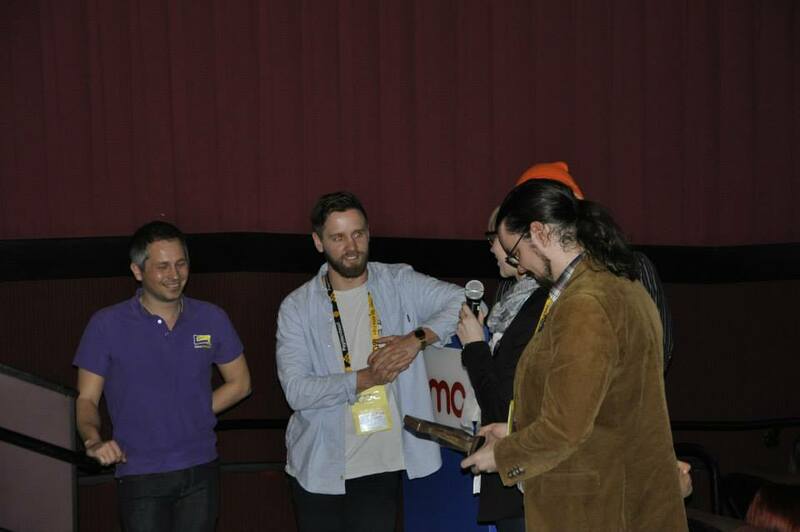 The different categories were presented one by one, along with its nominees. 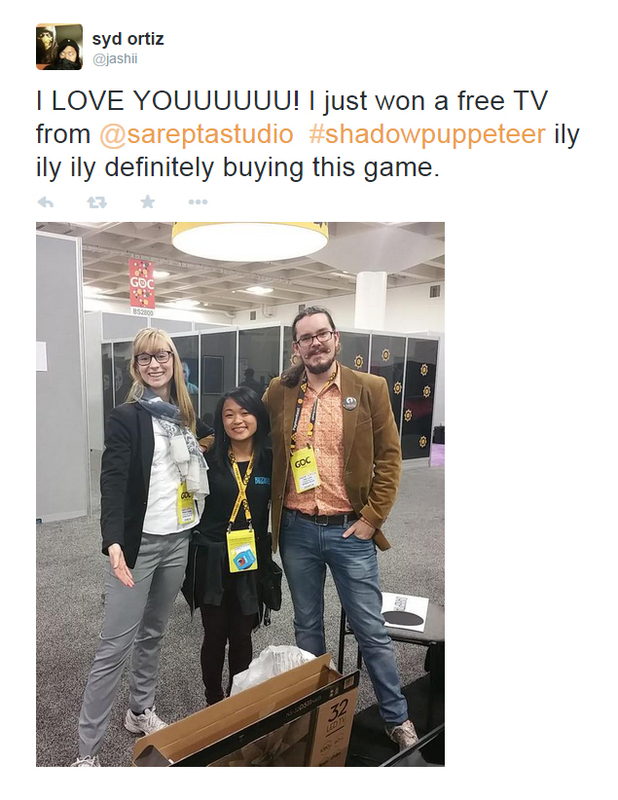 Shadow Puppeteer did not win in the first three categories it was nominated in, but was finally called when the winner for “Most Promising IP” was announced. Surprised and elated, Klas and Marianne made their way down to accept the trophy and make a short acceptance speech. If you ever find yourself in a similar situation they will advise you to sit as close to the podium as possible. Because when you’re body is pumping with adrenaline even simple things like walking down some stairs or talking will be a challenge. So Klas nearly tripped down the stairs, and Marianne’s unusually high, breathless voice graced the hall as she gave the acceptance speech. Stunned after the ordeal neither of them have any memories of what happened during the rest of the show. But they were happy. Very happy. Here are all the winners posing after the show with their trophies. Jory Prum, who did the sound for Shadow Puppeteer happily joined us for the photo. Marianne was asked to give a short video interview after receiving the award, presenting the game and giving her opinion on what it takes to win an award. That’s all for now. Check in next week for more about GDC!